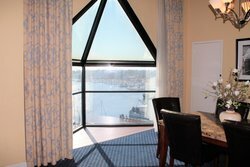 Experience a breathtaking showcase of the Hampton Bay. 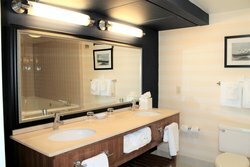 Our most romantic suite, the Honeymoon Suite can be divided into two rooms for additional privacy. 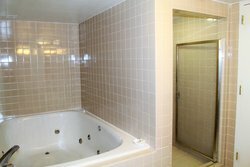 On one side is the master bedroom with a king bed and a spa bathroom equipped with a Jacuzzi bathtub and separate shower. 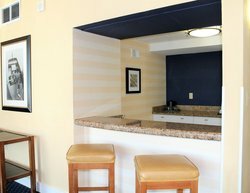 The other side of the suite features a private living area with a sleeper sofa bed, comfortable armchairs, coffee table, and kitchenette. 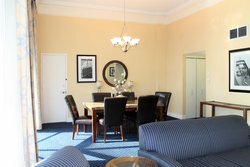 Enjoy a private meal in your room at the small dining room table, or enjoy an evening of games against the backdrop of a warm sunset. 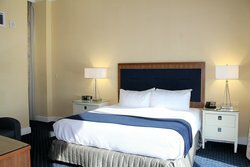 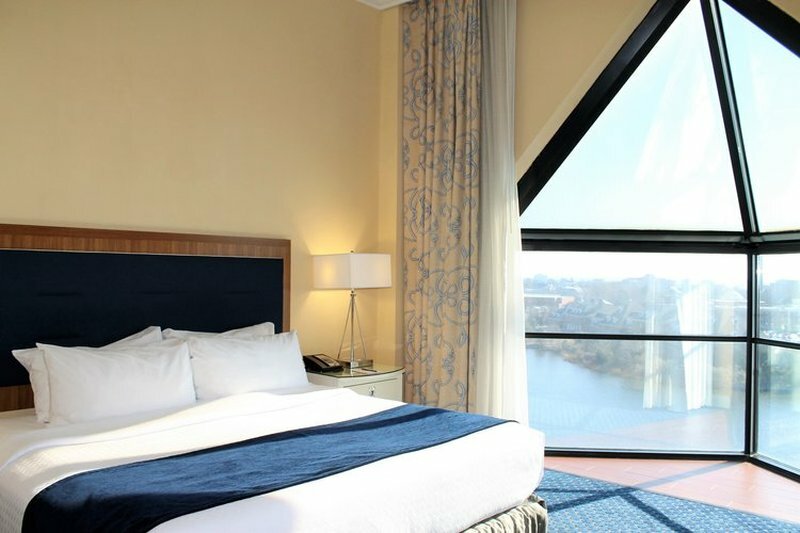 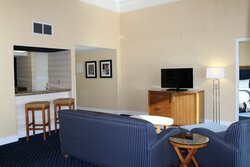 Relax in this luxurious suite, designed to accommodate all your needs and offer a romantic getaway to Hampton, Virginia!